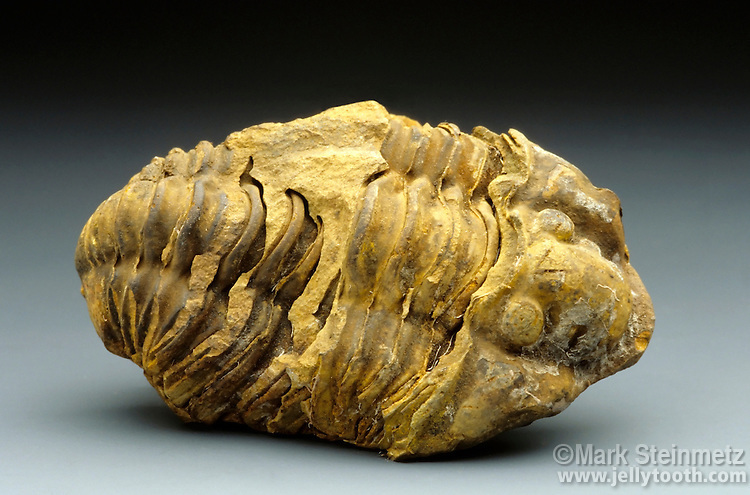 Trilobite fossil. Calymene sp. Silurian, approximately 400 million years old. Morocco. Once the most dominant life forms on earth, now extinct without any direct living descendants. The closest modern relation is the horseshoe crab.